Coz with his new favorite “toy”. Photo by John Shirreffs. 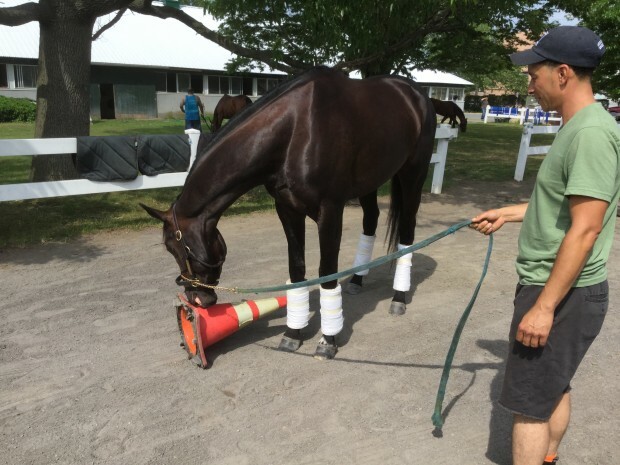 John and Dottie sent us these photos of Coz having fun at Belmont. The box he opened was a gift from students at Westgate Middle School. Thank you Homeroom 215! 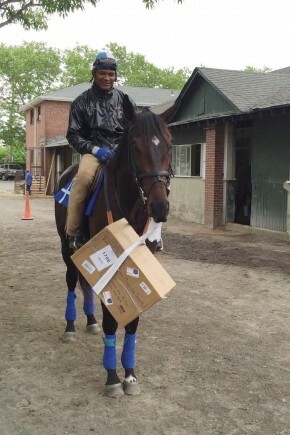 American Pharoah JUST arrived at Belmont Park!! AF also has big ears like Zenny even though I don’t see Roberto in his family. He also runs with ear plugs. This is silly and a salute to Terry Crow. How funny. Did not know that. Dear Allie in Texas: I was heartbroken to hear of the passing of Vertigineux last year,with no announcement or tribute which she so richly deserved.Thank-you for persuing avenues to find out what happened and to make us all aware that she has passed,sad as it is. It is very important to know and to give her our respects and recognition for who she was and the huge legacy she leaves behind. Sheena,your message to Coolmore also helped to encourage them to make an announcement on their facebook page(June 2) and now Blood Horse has posted also. Max, I just loved watching the race you shared with us of Vertigineux’s amazing win. Zenny is her Momma’s daughter.RIP Vertigineux, always loved,always remembered. Itis very sad to hear of Vertigineux’s passing a year after the fact. She was an amazing broodmare…one of the best ever. Her legacy will live on for generations but it is disturbing to learn of her death in this manner. It makes me think her life was unimportant to those entrusted with her care. Thanks to all the Dumplings who helped to get the word out. Zenny’s blog being a voice for good. Yes I too, Thank those who where persistent in getting the information on Vertigineux & her passing. I think it is sad that, if Zenny’s fans hadn’t pursued the facts, we probably never would have found out the truth. For those who like to visit Thoroughbred Farms in Kentucky, check out WinStar Farm who appreciates the fans & does farm tours. Also Old Friends is another Farm where the Retired Race Horses Live out their days and they Welcome Visitors Every Day :) Both Farms do require an appointment for farm tours. 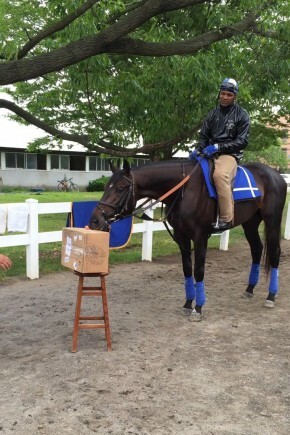 Good luck to American Pharoah on saturday in your great Belmont stakes!I thought it only rained in the UK!!! !Hugs Sheena. Thanks bunches for your timely Vault post. Another great article! 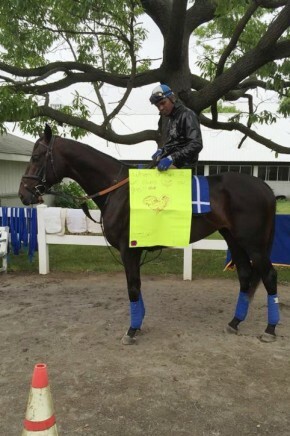 Hoping that American Pharoah can pull off the Triple Crown thus breaking the long drought. The search for peace of mind has reached into areas grown dangerous. But like nearly all pursuits for peace, there is a hook on the end of many remedies. Too much sinks its claws in and will not let go-even to our destruction. Most people do not want to hear there is a spiritual answer to their dilemmas They prefer “other” ways that have side effects. The spiritual way is totally free of interference and very personal, as any Indian will tell you. Ha dv da s da-listen. Listen and hear. Possibly you may be looking for someone with a strong heart. Possibly you may be intending to do something for me better than I know of. Allie: I agree. It was beautifully done. This is the best, most informative article I’ve seen. I don’t think Coolmore is bad, but they totally underestimated the interest in Vertigineux and loyalty to Zenyatta her legions of followers have. Vertigineux was honored herself as Broodmare of the Year, she has left her own legacy. She was important. I’m still extremely upset that the agreement with Mr. Kronfeld that V. be returned to Winter Quarters Farm wasn’t kept. I won’t beleaguer the point, though. I do appreciate that Coolmore has finally announced the passing of Vertiginuex. I appreciate the efforts of all who were persistent in their quest for answers so this happened. I do hope that the breeders and farms realize that the racing fans are as interested in the great mares as we are the stallions. It is amazing that in this day & age there is still dismissal of the mare’s genetic input! I’m tempted to say it is because too many are uneducated (stupid?) about genetics and/or too lazy to learn. Certainly a LOT more should be written on this topic. World war 3 at the Dyfi BUT the sun is shining!!Sheena. I would go most anywhere to feel like I belong. Dear Abigail.Remember how devastated I was for Smarty Jones!! !Great article.We shall see.Hugs Sheena. Thank you Sheena. I was devastated too. 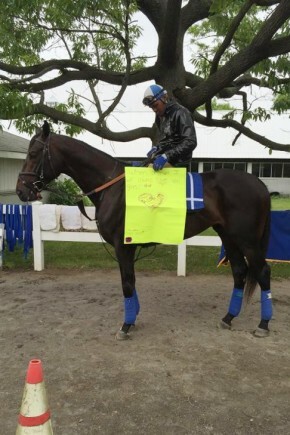 I love Smarty & am still HUGELY irritated that he has been marginalized as a stallion. Great horse. Great heart. Dear Max.The Fly is running at Auteuil sunday!!! !And Lady Cecil has had her 1st 2yr old winner of the season at Nottingham.Things are looking up!Big weekend both sides of the pond.Sheena. Majority owner, Perry Martin, sat down with Frank Angst at Bloodhorse.com and laid out plans for the remainder of the year for California Chrome and thus, the rest of his racing career. 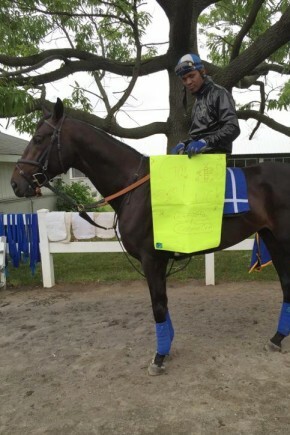 Unfortunately for all of his fans back in his home state, they have seen the last of the Derby winner. Martin plans to run ‘Chrome’ at Royal Ascot in two weeks. 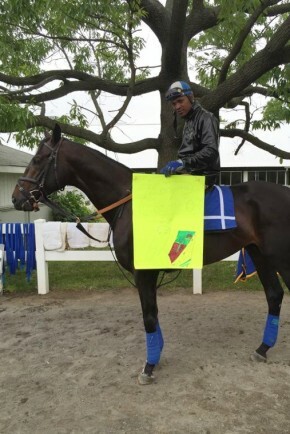 Preparations continue for the Prince of Wales Stakes on June 17th which is run on the turf. This Thursday morning, England time, California Chrome will put in a work over the Ascot surface with rider, Frankie Dettorri in the irons. 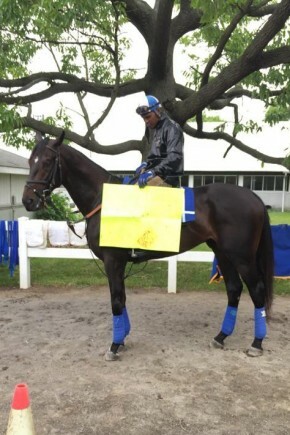 Then Martin plans to bring his colt back to the United States for the Arlington Million on August 13th. That will also be on the turf. 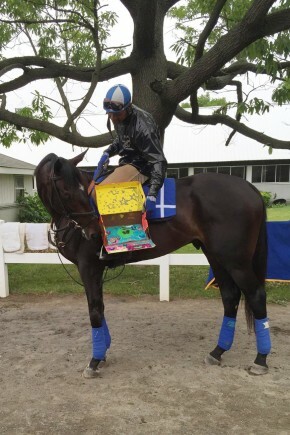 Next stop will be the Jockey Club Gold Cup at Belmont Park on October 3rd and despite being a Grade 1 race, it is a prep for the Breeders’ Cup Classic at Keeneland on October 31st. That means California Chrome’s final two races will be on the dirt. After that it’s off to retirement and, fingers crossed, a successful breeding career. He will stand in Kentucky. BGG-You know my opinion of this guy. 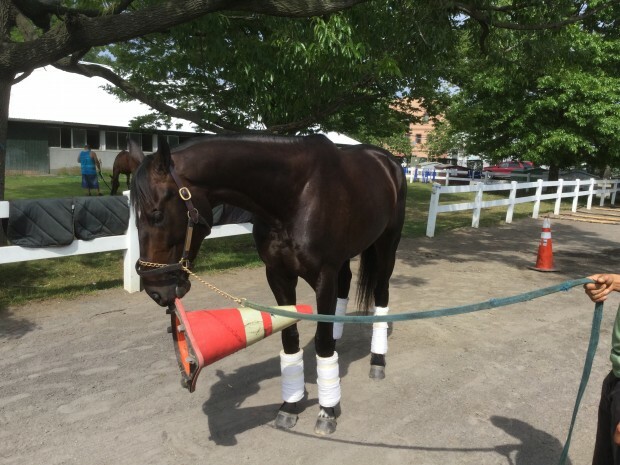 (((((((((((((((((((S-C-R-E-A-M-I-N-G))))))))))))) Oh Coz so nice to your pics, I’ve missed you so much and you are just adorable playing with your road cone. You’re still just a sweet little HUGE baby. But it’s time to stop that biting and playing and race like the champion that I know you are. You’ve always had star quality “look” so let’s see it soon. 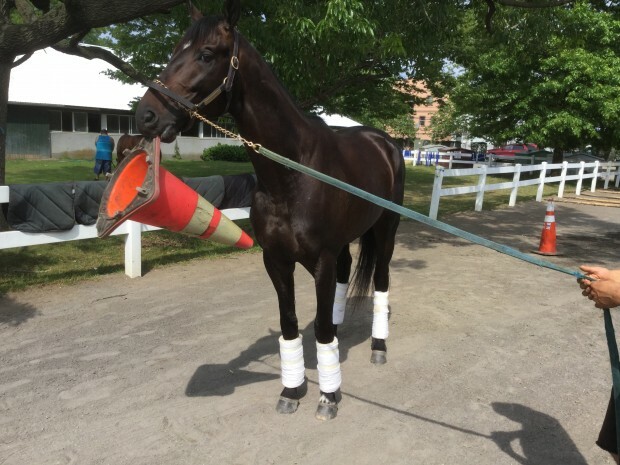 You can play with your road cone after your big win, k?